- Reminder of ripen fruit and vegetables for pick-up or delivery. Vege Post is a brand new business and is very different from other fruit and vegetables selling businesses. Firstly, Vege post provides door-to-door and door-to-box delivery service. This unique service does not only sell products to customers, but also make sure the products are delivered to them. Secondly, Vege Post’s rental farm land is equipped with CCTV, therefore customers can watch videos of their land on Vege Post’s webpage at anytime. This practice is unprecedented because there was no company that can offer video to customers, letting customers check whether the products are safe from chemical or not. Thirdly, to make the business more popular among the Brisbane region, Vege Postis going to offer delivery service, and ensure the order processing and delivering time within 24 hours. Vege Post is a business that successfully combines retail and agricultural-education. Through Vege Post’s service, customers will enjoy fresh, wholesome fruit and vegetables on a daily basis; through renting our farming land, customer will have a chance to get systematic knowledge about healthy, organic food growing and able to achieve a sense of accomplishment after harvest. Vege Post’sgoalisto become theleaderofthe fresh food businesses.Vege Post aims to offer various kinds of wholesome and organic products in different prices and have different ways of delivering. With quick delivery, fresh products, and kind staff,Vege Post will attract more and more customers in future. Rule 1: Perform activities which satisfy customer needs. 5. 7x24 hours CCTV, customers can check the video online. Rule 2: Perform activities differently than rivals do in order to deliver a unique mix of value. 3. Open up early every morning, close at evening around 7 p.m.
4. Various service provided, including farm land renting, and planting guidance tailored for personal need. 1. Retailing outlets By trading off, Vege Post reduce the operating cost, save the rental fees of outlets and invest the money into farming and online business developing. 1) A constant number of online order need to be made to secure breakeven. To reduce the pressure of breakeven, farm land rental should also be promoted. 2) Economies of Scale will be achieved if Vege Post manages to open and maintain its popularity on local market and this can be the long term goal of the company. 3) Capital investment will be low if Vege Post chooses to rent vehicles for delivery instead of buying vehicles. 4) Online platform will be the primary selling channel for Vege Post and access to the Internet is guaranteed. 5) There is no patent protection regarding the farming and retail selling practice. But Vege Post could apply for brand protection for brand image and Vege box design. 6) There are many competitors on local market. From chain supermarket like Coles, Woolworth, IGA to fruit shops in suburb shopping centres. In summary, the threat of entrants is medium high because low breakeven point, economies of scale and high competition from rivals. Easy access to distribution channels relief the pressure of threat. 2) Generic Substitution 1)Low product substitution, various fruit and vegetables to choose from to satisfy customer need. 2) Low generic substitution, fruit and vegetables are necessity for daily consumption. Is the buyer’s power high for your business? Why? Buyer power is medium because many large and small businesses are competing for the same market. However, Vege Post manages to provide differentiated service compared with others. Bargaining power of buyers is medium. Is the supplier’s power high for your business? Why? Transportation costs such as fuel and toll fees are controlled by suppliers. Fruit and vegetables are supplied by contracted farmland, some of them have good reputation therefore bargaining power of suppliers is high. 3) Differentiation. 1) Low balance – retailing business is various and different sizes of company have different level of service. 2)Vege Post’s differentiated products and services have more promising market growing space. 3) Competitive rivalry is moderate because products and services are different from competitors’. Purchase products roughly once every day; with different needs of fruit and vegetables. The product and service my business provides are used to:promote healthy way of eating; bring organic and quality food to every home; and provide a convenient way of shopping daily necessities. Characteristics of Target Markets Wide range and broad market Broader products and services aim at families. Most likely purchase for good reputation Specific location limits the market breadth. Explanation: Vege Post is a bargain brand because products and services are labelled at reasonable price and discounts. Fresh and organic food are of high quality and meet customers’ demand on quality. 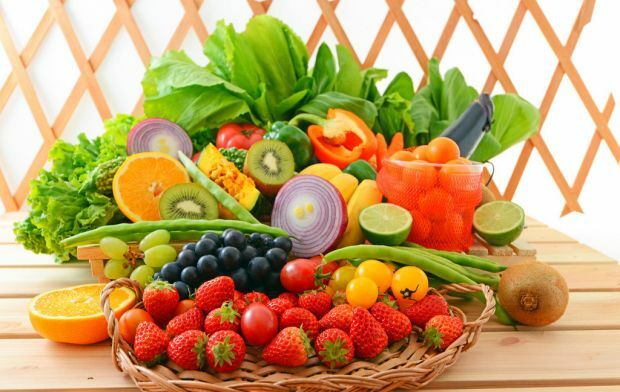 Vege Post’s brand image will be a high value online retailing business selling fruit and vegetables aiming at healthier and greener way of eating, appealing to people who are looking for balance diet. This brand image is designed to attract our target market of people from all walks of life with healthier life in their minds. The brand will lead to high customer loyalty thanks to their agreement on company’s value, namelyfast delivery, freshness of products and good taste. The brand will attract more partners because the Vege Post’s ideas and notions are easily recognized. Fruit and vegetables will be picked up from farm and directly packaged for home delivery. Pick up as ordered and rental land has special care with little chemical usage. 1. The fruit and vegetables’ prices are comparative to those of competitors’ products. 2. Delivery fees are easy for customers to understand and calculate. 3. Farm land rental price is reasonable with care provided to plants, guidance on planting, and all harvest deliver to customers. The following promotional activities will be delivered to reach the target market and to develop Vege Post’s brand image of a high value online retailing business promoting concepts of healthier ways of eating. YouTube-The company will promote its value and notions on YouTube, including organic plants growing, training videos No additional cost to the company, because the online promotion will enhance the advantages of Vege Post on online retailing. Targeted market will have more know-how about healthier way of eating. Online promotion will be constant and cheap to maintain. 1) Describe the advertisement in terms of how it expresses the business’s brand image and appeal to target market. The advertisement reflects the Brand Value of fast delivery and freshness of products. Green tone of the image refers to the healthy and organic food that Vege Post promise to deliver to its customers. Also, this advertisement is simple in design, easy to remember and can leave a lasting impression on audience’s mind. Vege Post headquarter will be located at Garden City Tower, 18 Mt. Gravatt-Capalaba Road, Upper Mount Gravatt. Office will be the workplace for computer and software technicians, marketing, administrative and finance staff. Personality of the owner who has a characteristic of ISTJ (introversion, sensing, thinking, judgment) has a strong sense of teamwork and team honour. As an action-oriented person, the owner values responsible and trustworthy character to the highest level. The owner concern a lot about stable structure and procedures with a conscientious mind. As a decision-maker, the owner will bring order, clarity and planning to the business procedures. Directors Deal with critical business decision-making, including market expansion, relationship development. Various business and social contacts. Ability to organize the company effectively as the leader. Software technicians Maintain the companywebsite. Online consumer consultants Timely connect with customers. Answer the enquiries and take orders with personalized service. Patient and friendly. Farming specialists Help rental farm operations. Organize farming activities Have good knowledge about organic farming. Fair Work Act 2009 (Cth) sections 12 and 97. Training All staff Training program designed for employees, in order to educate employees about company’s value and understanding of the work. Promotion All staff Promotion is open to all staff once they achieve better performance set by management. Enhance a sense of recognition and competition. Golden service award Consultants, specialists and drivers Zero compliant from customers on service. Employees will aim for providing better service to customers. - Company owners have limited liabilities, and personal assets or incomes are protected from be sued. Vege Post will be organized by regions. Thanks to different fertility of different farmland, organic farms of Vege Post will located in different regions. Vege Post will use organic company structure. The primary reason is that online retailing business is totally depend on Internet techniques. Under such a structure, software and computer issues will be the central part of business operating, and different groups will have efficient communications on possible decision-making. It will facilitates employees with easy access to online techniques and promote problem-solving. In summary, Vege Post will kick-start a promising business in retailing fresh fruit and vegetables in the competitive market. Australian Taxation Office. (2015) Super for employers. Available at: https://www.ato.gov.au/Business/Super-for-employers/ [Accessed 30 May 2016]. Australian Taxation Office. (2015) Company tax rate. Available at: https://www.ato.gov.au/rates/company-tax/[Accessed 30 May 2016]. Australian Government. Corporations Act. (2001). Available at: http://www.austlii.edu.au/au/legis/cth/consol_act/ca2001172/s115.html[Accessed 30 May 2016]. Fair Work. (n.d.) Annual Leave. Available at: https://www.fairwork.gov.au/leave/annual-leave [Accessed 30 May 2016]. Fair Work. (n.d.) Sick and Carers Leave. Available at: https://www.fairwork.gov.au/leave/sick-and-carers-leave [Accessed 30 May 2016].